When you are in need of an experienced, quality plumber, make CP Heating, Electrical & Plumbing your first port of call today. Our charges are transparent and clearly shown on invoices which are issued for each job. We do not charge a call out fee but we do charge the minimum of one hour on site charge for any time within the first hour. The hour rate varies depending on the nature of the work and if carried out in normal working hours or outside of normal working hours. Full payment is due on completion of work. We accept cash, Credit/Debit Cards and BACs electronic payments. Accounts can be set up for companies, housing associations, letting agents and landlords subject to approval. Payment for all invoiced work will be due maximum 30 days from date of invoice. Any payment not received within this period will be considered late and may be subject to late payment charges. All our work is covered by a 12 month guarantee. Products supplied by a customer will not be covered by any warranty. Light bulbs are not covered by any warranty. 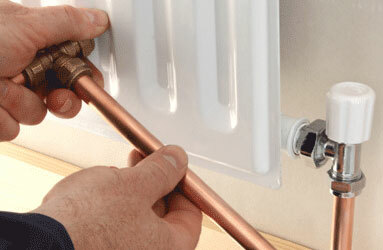 Due to water quality issues immersion heater elements will only be covered by 3 month warranty. All our team are covered by Public Liability Insurance and are fully qualified and experienced.